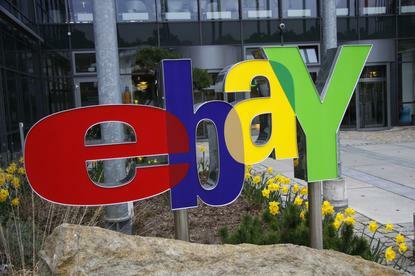 Ebay has accused Amazon.com of trying to poach sellers for its own platform through Ebay's internal messaging system. "We have uncovered an unlawful and troubling scheme on the part of Amazon to solicit eBay sellers to move to Amazon's platform," eBay said, adding that it had sent a cease-and-desist letter to Amazon on Monday. "We have demanded that Amazon end its unlawful activity and we will take the appropriate steps, as needed, to protect eBay," the company said in a statement. The Wall Street Journal said that an eBay investigation found about 50 Amazon employees across the world had sent more than 1,000 messages to sellers on its platform. Ebay said it was alerted of the situation about 10 days ago after a seller reached out to the company after being contacted by an Amazon employee under false pre-tenses. The allegations come weeks after Amazon unveiled plans to investigate suspected internal leaks of confidential information by its employees for bribes to remove fake reviews and other seller scams from its website. Amazon employees are offering internal data and other classified information through intermediaries, to independent merchants selling their products on the site to help them boost sales in return for payments, the Wall Street Journal reported, citing sources.